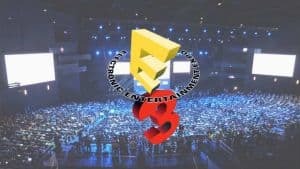 E3 2019 Dates Announced | Nerd Much? With E3 2018 winding down, it’s only natural to set our eyes on what’s next. And that, of course, is E3 2019! The Entertainment Software Association has announced when fans with once again descend upon Los Angeles to see the latest and greatest games headed their way. And it’s exactly when you’d expect it to be. E3 2019 will run from June 11th through June 13th, 2019. The event will once again be held at the Los Angeles Convention Center. This years convention saw over 69,200 people attend the show. It’s the highest number of patrons since the 2005 expo. E3 2018 featured more than 200 exhibitors, with 85 of them being companies attending the event for the first time. Across those 200 exhibitors, there was a total of 3,250 products on display throughout the show. The success of E3 2019 comes despite the lack of any blockbuster reveals this year. Most of the prominent games at the show were titles we were already well aware of. That doesn’t make them any less exciting, of course. Titles like The Last of Us 2, Spider-Man, Super Smash Bros. Ultimate, and Cyberpunk 2077 are all things we’re certainly looking forward to. Hopefully E3 2019 will give us in depth looks at the games further out on the horizon. We should finally get a full blow out on Metroid Prime 4. And Microsoft should be ready to pull the cover back on Gears of War 5 and Halo Infinite.